South Dakota Farmers Union will host two workshops, Raising the Best: Livestock Husbandry and Handling for Today's Market with Dr. Temple Grandin, on Tuesday, July 1 in Rapid City and on Tuesday, Aug. 5 in Watertown. "We are honored and excited to be hosting Dr. Temple Grandin during our Raising the Best workshops in Rapid City and Watertown," said Doug Sombke, President of South Dakota Farmers Union (SDFU). "The livelihood of South Dakota's producers is determined by the livestock they raise. South Dakota Farmers Union is hosting these workshops to provide a valuable educational opportunity for our producers to learn from one of the world's renowned experts on livestock handling." The workshops are free and open to the public. The sessions are intended to educate livestock producers about modern, science-based handling procedures and assist them with managing risk to improve their economic viability. The workshops will each feature Dr. Grandin and include a presentation from SDSU Extension livestock specialists. Dr. Grandin is a designer of livestock handling facilities and a Professor of Animal Science at Colorado State University. She obtained her B.A. at Franklin Pierce College and her M.S. in Animal Science at Arizona State University. Dr. Grandin received her Ph.D. in Animal Science from the University of Illinois in 1989. SDFU has partnered with SDSU Extension on these workshops and hope that the workshops also result in establishing connections between producers and the Extension's various regional livestock specialists. The SDSU Extension panel will focus on species specific livestock husbandry practices. With over 10,000 family farmers and ranchers, SDFU is a nonpartisan, grassroots organization that has been working since 1915 to protect and enhance the economic well-being and quality of life for family farmers, ranchers and rural communities. Raising the Best workshop in Rapid City, S.D. 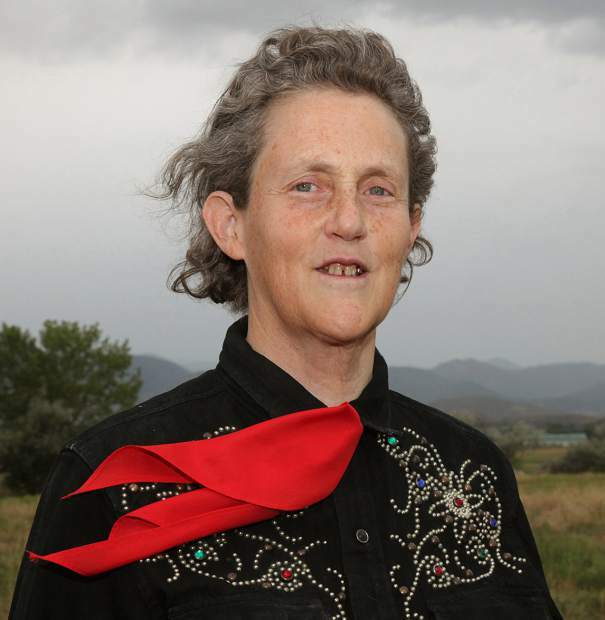 The Rapid City workshop will be held on Tuesday, July 1, and opens with Dr. Grandin at 10 a.m. MDT at the Fine Arts Theater at the Rushmore Plaza Civic Center. At 11 a.m. SDSU Extension livestock specialists will lead a discussion and live demonstration on specific livestock husbandry practices and livestock handling equipment. The workshop will conclude at noon. The workshop is free and open to the public. Raising the Best workshop in Watertown, S.D. The Watertown workshop will be held on Tuesday, Aug. 5, and will take place during the 2014 Codington County 4-H Achievement Days. The program will begin with Dr. Grandin at 10:30 a.m. CDT at the Codington County Extension Complex. Following Dr. Grandin's presentation, SDSU Extension livestock specialists will lead a panel discussion on specific livestock husbandry practices and livestock handling equipment. The workshop will conclude at 12:30 p.m. The workshop is free and open to the public.